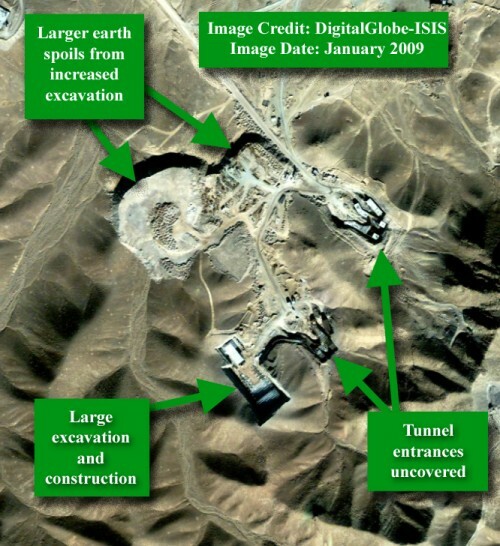 In an analysis based on media reporting and commercial satellite imagery from 2004, 2005 and 2009, it appears that the suspected uranium enrichment facility near Qom, first identified by ISIS on September 25th, was originally a tunnel facility associated with Iran’s military—one of many throughout the country—and not a construction site for a uranium enrichment plant. 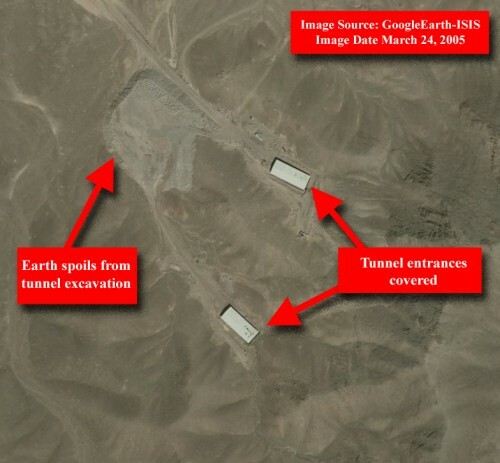 Sometime after March 2005, the Atomic Energy Organization of Iran (AEOI) likely directed that this site should house the centrifuge facility. There was likely a resurgence of construction activity associated with this decision. Reuters reports that construction of the gas centrifuge plant began in 2006. 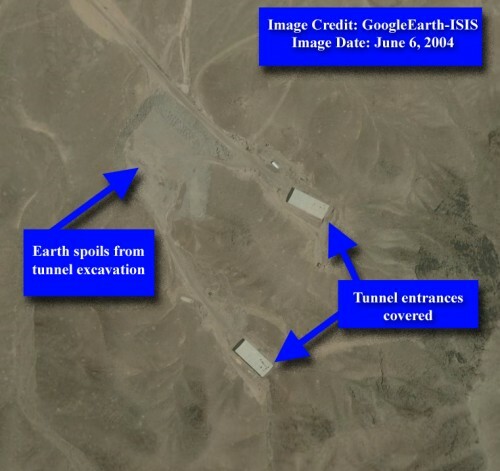 The tunneling activity seen in satellite imagery from 2004 and 2005 may not have been originally associated with the later construction activity for the suspected uranium enrichment site. The pace of construction between June 2004 and March 2005 appears slow (see figures 1 and 2). Then, as seen in the January and September 2009 DigitalGlobe images, the scope of construction increases dramatically (see figures 3 and 4). ISIS will continue to collect and assess satellite imagery of this site from various dates in order to pinpoint the start of renewed construction activity. Figure 1. GoogleEarth image of suspect gas centrifuge site from June of 2004. 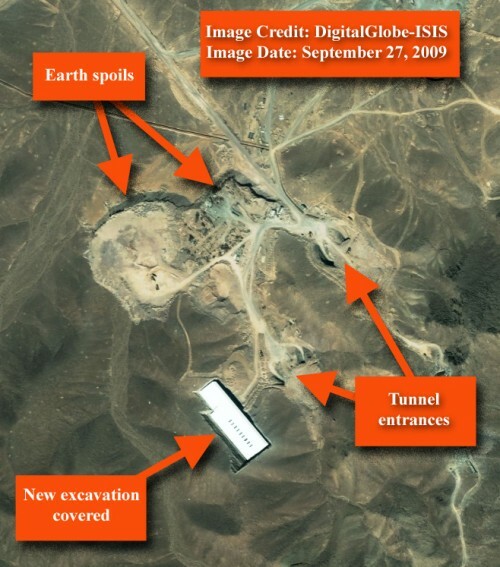 Two covered tunnel entrances and pile of earth spoils can be seen in the image. Figure 2. GoogleEarth image from March 24, 2005. The same two covered tunnel entrances can be seen, as well as the pile of earth spoils. There does not appear to be much progress at this site between June of 2004 and March of 2005. Figure 3. January 2009 image from DigitalGlobe of the same site. There appears to be much more construction and excavation activity. Figure 4. DigitalGlobe image from September 27, 2009 of the same site. The new excavation has been covered, as have the original two tunnel entrances.